If you follow me at all on one of my many Social Networks then you will know that last week Klout got me hooked up with a 4 day test drive of a brand new 2013 Buick Verano and by far it was one of the best Klout perks that I ever had. So to be true to the fine folks over at Buick I wanted to post a short review of the car. Now remember when you read this, I’m not a car dude, my preferred car of choice would be a Prius by far…but having said that I still really enjoyed this car. 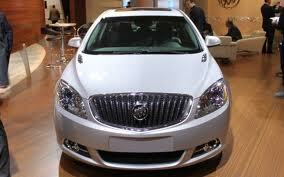 If you have watched the review video above you will know that power is not the strong suit of the Buick Verano. On Thursday I took it on a Highway drive from downtown Toronto out to Oakville and back, and yes it’s true acceleration is not a strong suite of this vehicle….having said that, being a city dweller I’m not greatly concerned by the need for power, for me it’s all about the comfort and fuel efficiency of the vehicle. It has a push button start, which is common in a lot of vehicles these days but I really like it because it adds a level of fuel efficiency and honestly I hate fumbling around for key ignition when you get into the car at night, so score one for comfort. 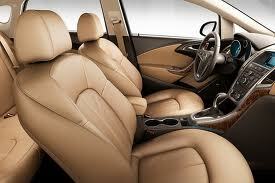 The interior of this car is really roomy and very comfortable. The seats are well designed and I could for sure see myself sitting in them for a long drive…they are also heated in the front seats and both driver and passenger seats are electronically adjustable for comfort and ease of driving, both a big plus. If you drive a lot for work, the car comes pre-loaded with an onboard phone sync system that allows you to navigate, speak and send/receive texts all hands free. Everything you need is within easy reach either on the dash or on the steering column. Oh and because I didn’t mention it before, this car is super quiet while you are driving on the road, and the suspension is fantastic, driving up and down Dufferin Street seemed like a breeze. There were a few downsides to the Buick Verano that I noticed…. Again it was really lacking in horsepower so if that is your thing this may not be the car for you. Huge blindspots all around the car meant that you had to rely more heavily on the mirror system and that was not fantastic for me, when I drive I like fewer and not more blindspots. The rear safety system which is basically a proximity alert has an extremely wide radius so if you were parallel parking near a hydro pole the system would start alarming you (think Star Trek Enterprise Red Alert) even though the pole is beside you and you are in no danger of hitting it…that drove me a bit bonkers especially in the parking garage. I made one test call with the dash speaker system, and the person on the other end said they had issues hearing me but that could have been my phone or theirs at fault. 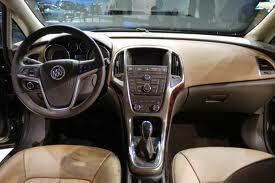 Overall I liked my time with the Buick Verano. For sure it’s a luxury car and the one that I drove came with a pricetag of $34,000 fully loaded. Not something that I could/would want to afford, but again if you are looking for a midsize luxury vehicle and you can afford the price tag for sure worth a test drive.